The Trump International Hotel at 1100 Pennsylvania Avenue NW, is photographed in Washington, Dec. 21, 2016. House Democrats are prepared to use their majority and subpoena power to go after all manner of financial records that could back up their claims that Donald Trump is using his presidency to enrich himself. 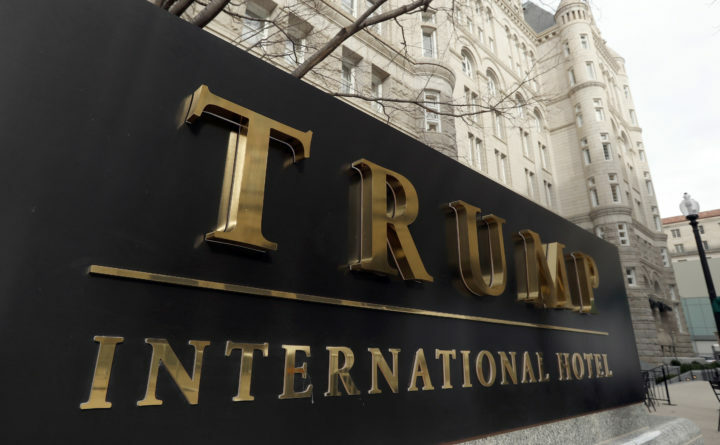 Democrats hope there is a new day on such issues as foreign government spending at Trump properties, Trump’s foreign licensing deals and Trump ties to lobbyists. WASHINGTON — Beyond trying to get their hands on the Holy Grail of President Donald Trump’s business dealings — his tax returns — House Democrats are prepared to use their new majority and subpoena power to go after financial records that could back up their claims that he’s using his presidency to enrich himself and his family. It would be up to Kavanaugh, however, to determine whether he felt he should recuse himself. In an OpEd in The Wall Street Journal before his recent confirmation vote, Kavanaugh said he had misspoken because he was upset and assured the public that he would act as a fair and impartial judge.